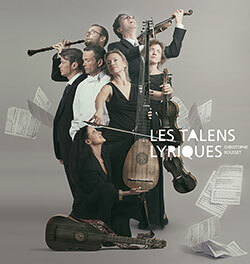 To celebrate Couperin’s 350th birthday, harpsichordist and conductor Christophe Rousset leads the dynamic Les Talens Lyriques in a selection of the French composer’s Baroque works including selections from the third Concert royal composed for the court of Louis XIV, excerpts from the hauntingly expressive Leçons de ténèbres written for the Abbey of Longchamp, Suite No. 1 from the Pièces de violes, and selections for solo harpsichord. Les Talens Lyriques. Photography by Eric Larrayadieu.